Come see the new star-studded comedy Mother’s Day at a special free advance screening being held on Tuesday, April 26 at 7PM in Salt Lake City! Click here to download your admit-two pass. Passes do not guarantee admission, as theater is overbooked, so be sure to arrive extra early for ticket exchange. Good luck and we’ll see you there! 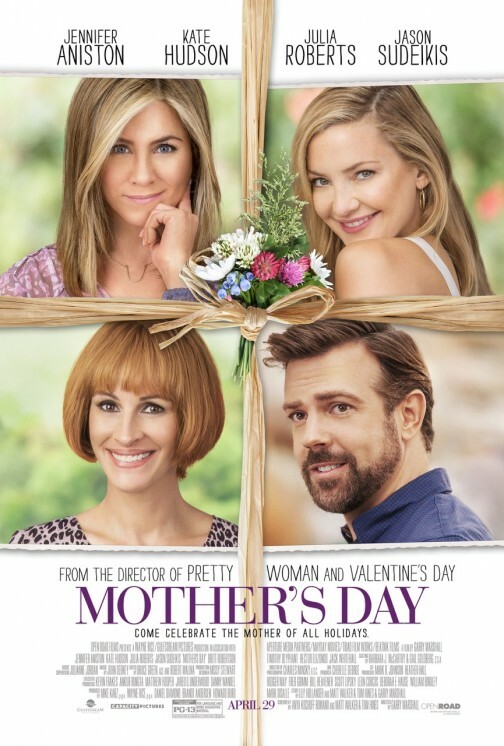 Synopsis: Mother’s Day is the latest star-studded ensemble comedy from director Garry Marshall (Pretty Woman, Valentine’s Day). Bringing together Jennifer Aniston, Kate Hudson and Julia Roberts along with Jason Sudeikis, it’s a celebration of mothers everywhere. This big-hearted comedy invites us all to enjoy the laughter, tears and love as three generations come together in the week leading up to Mother’s Day. Mother’s Day hits theaters April 29.